Kee Safety is able to provide a full design and installation service for any type of railing or fall protection system. Whether dealing with new build, refurbishment or the upgrade of existing structures and developments, Kee Safety can provide safety compliant guardrail and handrail designs for either internal, external, ground level or roof level, back of house or front of house installations. 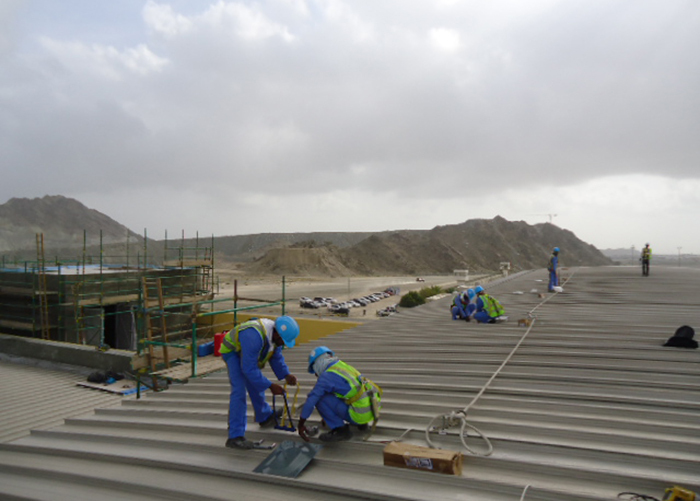 If a fall protection system is required, we can visit the location to execute a full inspection including a measuring service so that the best safety system is recommended. From our base in Dubai we offer clients a range of flexible solutions to meet their requirements. We have our own team of installers with vast experience of installing handrail and guardrail as well as fall protection systems backed up by a full technical design service.